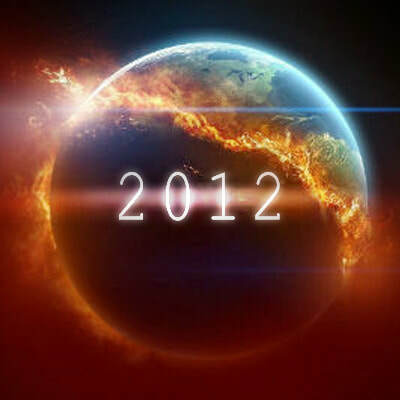 The year 2012 in the Chinese calendar is the Year of the Black Water Dragon. It began on January 23, 2012 and will end on February 9, 2013 and so as a point of departure, this years “CENTERLINE 2012” exhibition, featuring the Zhou B Art Centers resident artists, have created pieces that examine the dynamics of their own state of mind through out the year, for example; a significant turning point in their life, a spiritual awakening, an evaluation of their accomplishments or lack there of, an outlook for the future, etc. 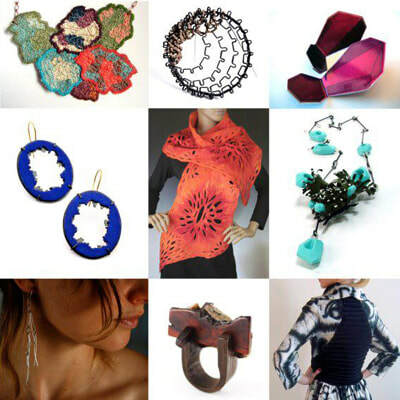 Artists have created works that take on a variety of forms and pull from a plethora of inspirational materials. 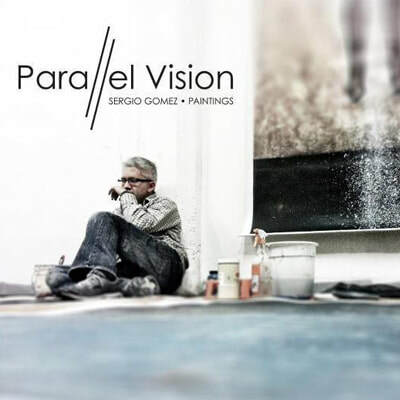 PARALLEL VISION is a solo exhibition by Chicago based artist and curator Sergio Gomez. It explores aspects of our human weakness contrasted with ideas of spiritual empowerment. As a multidisciplinary artist, Sergio seeks to connect all the aspects of his creative career into an organic and parallel direction towards the future. Sergio Gomez is a Chicago based visual artist, Owner/Director of 33 Contemporary Gallery, Curator/ Director of Exhibitions at the Zhou B. Art Center. Founder/Director of VisualArtToday.com; a curated online exhibition space for international contemporary art, Creative Consultant for Idea Seat Marketing & Advertising, Contributor for Italia Arte Magazine and Co-founder of 3C Wear. In addition, Sergio is an accomplished graphic designer, web designer and art & design professor at South Suburban College. 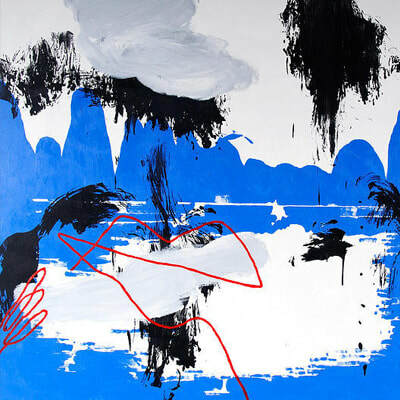 “Li - The River of Souls” gives name to an entirely new series of paintings inspired by the Li River in China. For the Zhou Brothers, this exceptional exhibition of symbolic abstract landscape paintings represents both a departure and a come back. Mario Gonzalez Jr. is one of the most sought-after international graffiti writers living today. His expressive work and artistic versatility extends from street walls to museums and galleries around the world. The exhibition ZORE is the conclusion of a sixty-four day international tour which started late last year in San Francisco and continued to South Korea, Germany, Switzerland, and Italy culminating in Chicago. In his first major one-man gallery exhibition in the US, Mario Gonzalez Jr., known in the graffiti circle as ZORE, brings together a fusion of street styles, colorful letter forms and abstract monochromatic large scale paintings. Drawing from a vast life experience of constant traveling, exploration, self-expression, street culture and art history, ZORE’s unique artistic vision embraces an urban world voice that resinates deeply beyond borders and simultaneously delves with force between fine and street art. His restless search for what he calls “the perfect beat” continues to thrive his insatiable curiosity for life, community and inspiration. In ZORE, this free-spirited individual and urban world citizen has landed at the Zhou B Art Center to make his mark as one of today’s most versatile contemporary artists. Facemask is not an exhibition about Facebook /Twitter or other social media. Rather, it is a self-protrait exhibition that evolves in the middle of a "social media" revolution. Facemask explores the hidden personality behind our social media face. Such personality here described as our "other". 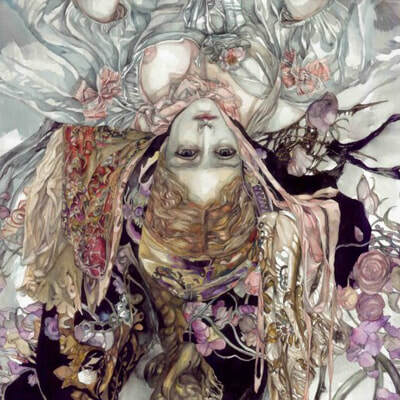 This exhibition will take place in the main gallery of the Zhou B Art Center and it is the theme of this year's 8th Annual National Self Portrait Exhibition. We are inviting artists nationwide to submit works exploring the other, not often seen, side of themselves. The main gallery of the Zhou B. Art Center will become a national laboratory for the exploration and visual representation of the "self". The exhibition will include works ranging from representational, non-representational and conceptual ideas of the self. It will feature works in a variety of media. 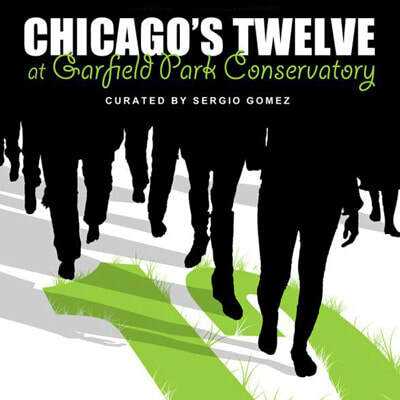 Chicago’s Twelve is an exhibition celebrating World Earth Day. Curator Sergio Gomez has selected twelve Chicago artists currently turning their attention to mobilizing the Earth, the focus of this year’s World Earth Day. Through interaction with environmental issues, the re-purposing of found objects, and utilization of non-traditional material, these artists call into question not only our present relationship with our world, but also the possibility of its sustainable future. Works in the exhibition will include installations, sculpture and mixed media. Artist(s): Jason Brammer, Mary Croteau, Victoria Fuller, Sharon Gilmore, Kim Guare, Salvador Jimenez Flores, Dana Major Kanovitz, N. Masani Muhammad, Yva Neal, Connie Noyes, Alfonso Piloto-Nieves, and Vivian Visser. Corinna Button's solo exhibition About Face at the Zhou B Art Center in Chicago explores issues of identity as they relate to our social interactions and the drama of daily life. At first impression, Button's work manifests an exuberant aesthetic beauty derived from her complex layering process and mastery of printmaking techniques. Beyond the immediate surface and the conspicuous masquerade depicted in her figurative works, one finds the intensity and feminine sensitivity of an artist engaged in an arduous personal journey. About Face portrays a narrative and an exploration of our common social drama as observed, perceived or remembered by the artist. Corinna Button was born and raised in Great Britain where she received her fine art education at Croydon School of Art. It was there, while in postgraduate school, that she earnestly studied printmaking. Her love for the printmaking processes led her to adopt it as one of her primary mediums of expression. 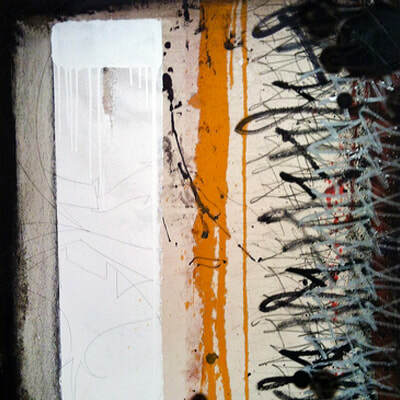 Presently, Button's studio practice delves between painting, drawing, collage and printmaking. In fact, there is not a dividing line between them as she simultaneously works in all these mediums. The result is a cohesiveness of expression and form which revers the history of art making while conversing with our contemporary realities. Button's admiration for the works of abstract expressionists such as Franz Kline and William De Kooning emerge as an indirect influence in her studio practice. The female human forms depicted in her work appear to capture life from the expressive spontaneity of her process. But chance is not a mere result of spontaneity. In Button's works, surprise and accidental gestures invite a continuous engagement between her and the work as she masterfully negotiates between the accidental and the controlled elements of each piece. It is in this affair of action and effect that Button gives birth to a distinctively textured and well orchestrated visual narrative. Thematically, the work of Corinna Button addresses the social interactions and personal perceptions of our private and public human existence. In particular, those experienced by women. In Button’s work, there seems to be a constant observation and commentary about the cultural parameters of human interaction. Button's idol series explore the isolation and impersonality of today’s cultural pop idols with all their excesses and apparent invulnerability. Often depicted with their eyes closed in a slightly seductive, royal or composed posture, these idols resemble classical figurative sculpture with a contemporary expression and theatrical flair. 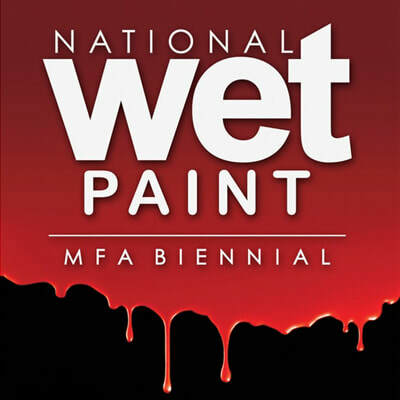 The National Wet Paint Exhibition 2012 is an outlook and an overview of top MFA painting programs in the the United States. Wet Paint refers to the idea that this is a fresh group of artists. They are MFA (Masters of Fine Arts) candidates and recent MFA recipients working primarily in the medium of painting. Now on its third edition, this growing and highly contested juried exhibition will bring to Chicago some of the most talented emerging artists in the country. Wet Paint 2012 is fully funded by the Zhou B. Art Center and makes it possible for graduate students to submit works for consideration free of charge. Artist(s): Kristin Baird, Natalie Baldeon, Aneesha Baldeosingh, Guy Ben-Ari, Adam Bock, Sarah Kent Butler, Erin Castellan, Ryan Crotty, Corey Crum, Camille Chedda, Kyoungah Choi, Mary F. Coats, Spencer Corbett, Benjamin Cowan, Adrian Cox, Marie Danielsson-Yung, Andrea DeJong, Michel Droge, Monica Farrar, Linda King Ferguson, Jared Flores, Erin Goedtel, Diego Gutierrez, Crystal Heiden, LaToya M. Hobbs, April Zanne Johnson, Jinhee Kang, Sarah Knill, Liliya Krys, Avigail Manneberg, Mi-Hee Nahm, Michael Manning, Zahra Nazari, Fran O’Neill, James Papadopoulos, Gabriel Pionkowski, G. Scott Raffield, Alyssa Reiser, John Ros, Clare Rosean, Brenda Suromi, Bart Vargas, Steven Vinson, Ben Willis, Bernadette Witzack, Gaby Wolodarski, Theodore Zanardelli, and Eros Zhao.